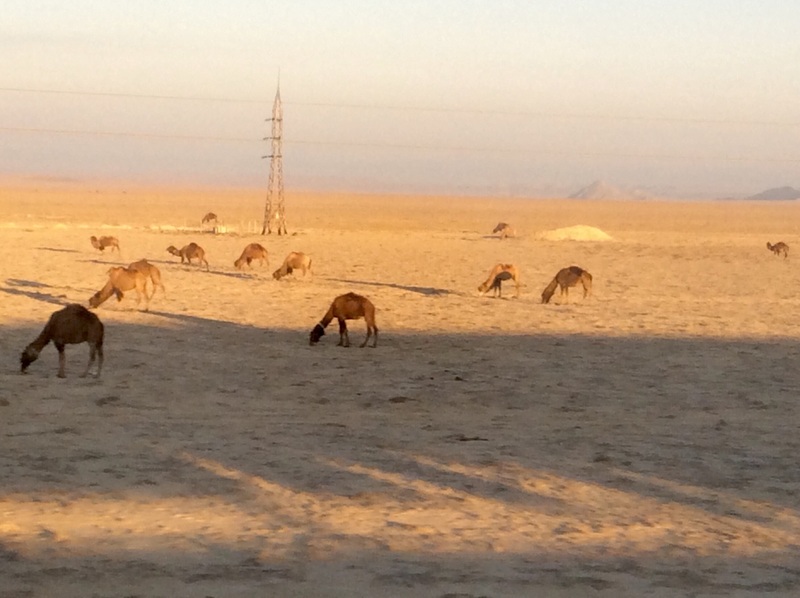 2/13 – We stayed only one night at the lovely but high-priced Hotel Harat. 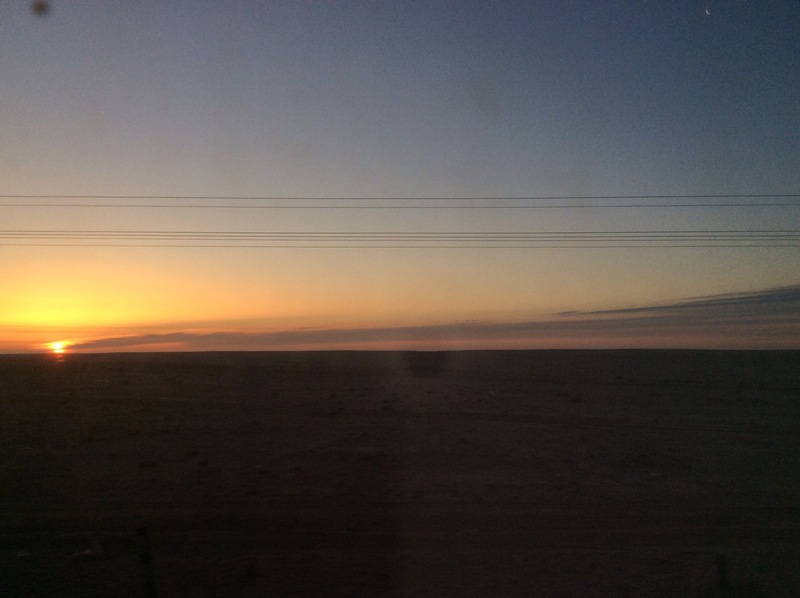 After purchasing our train tickets and finding that the train only runs on odd numbered days, we looked for another hotel that was more reasonably priced, so we can settle in for two more nights. 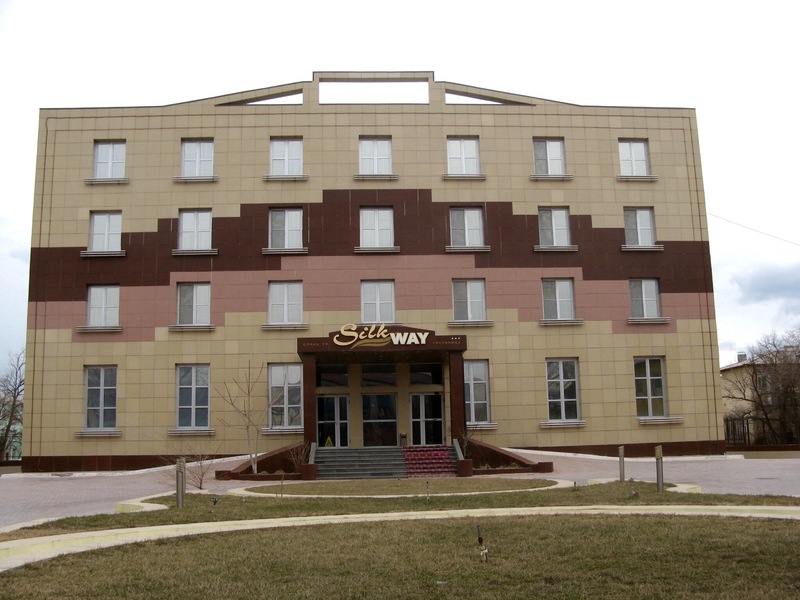 We are very pleased with the Silk Way Hotel, which actually offers better amenities, and a wonderful breakfast. The currency here is the tenge, and one tenge is equivalent to five cents in US dollars. 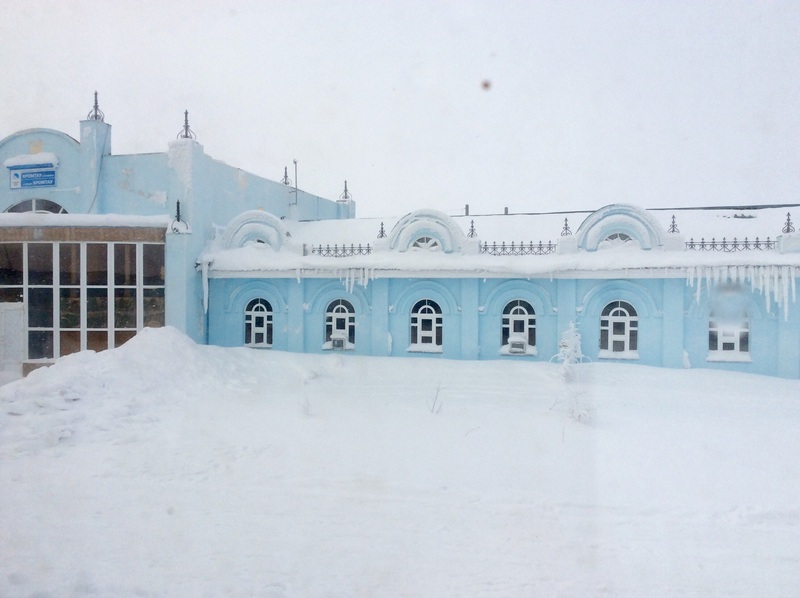 This has the unfortunate result of making everything sound really expensive while you are trying to work the math – our new hotel costs 14,000 tenge a night, which works out to be about $75.00. Still too expensive, but Kazakhstan is an expensive country, thanks to uranium, oil and gas wealth. Unlike the wide avenues and glittering buildings of Baku, we don’t see the wealth here. 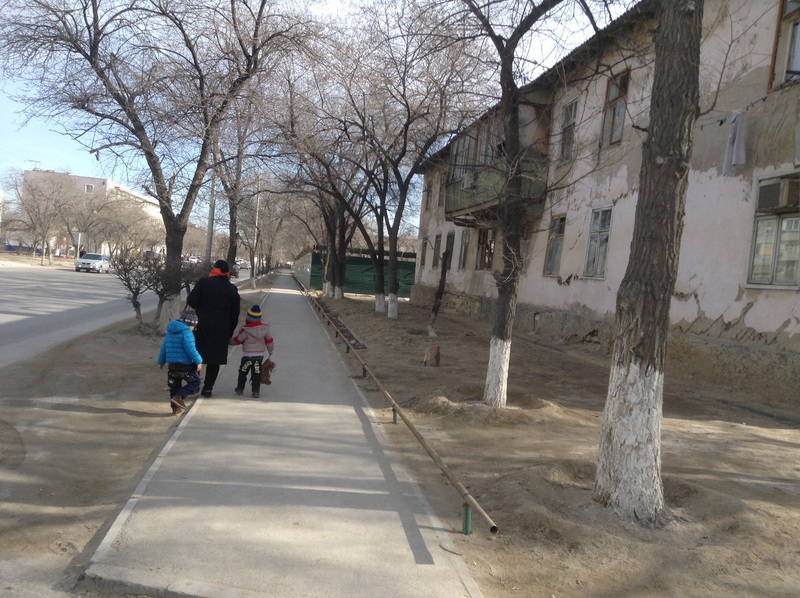 Buildings are flaking and haphazardly painted, streets are rutted, sidewalks broken or just dirt paths. Even the 4 star Hotel Aktau, commanding $400.00 a night, looks on the outside like it has seen better days. 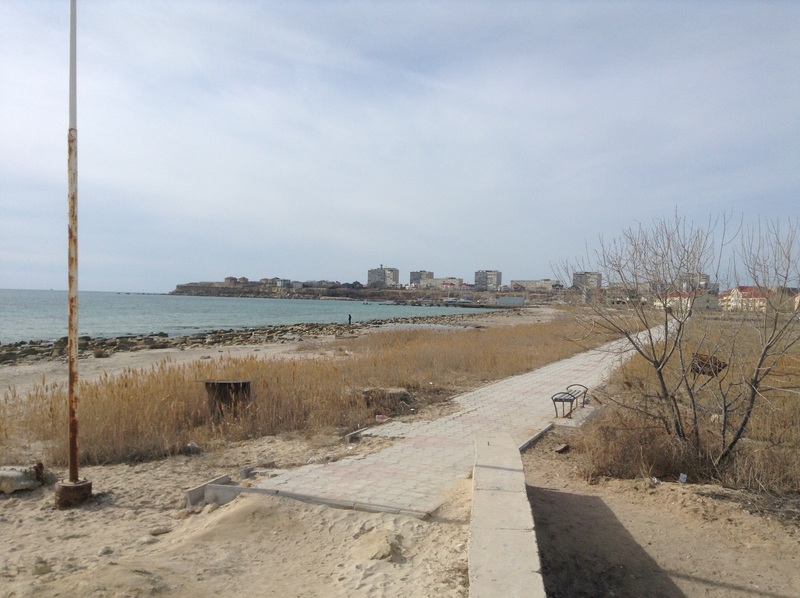 We find this strange, as Aktau was only built 40 years ago. Maybe the harsh climate? That said, the people we met were very nice. A young man encountered us searching in vain for an ATM that would accept our debit card, and walked us to the main street where we found one. An older man tried to direct us to the travel agency without a word of English. 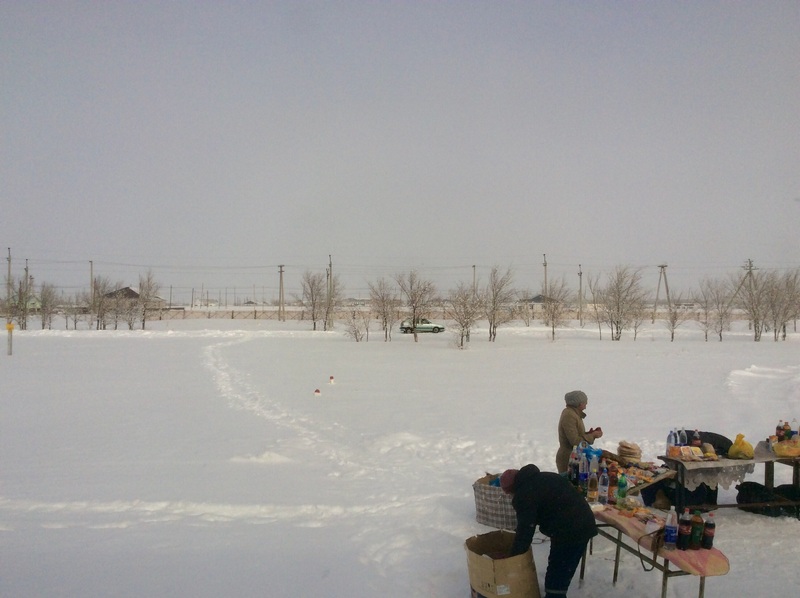 Jim had written down several phrases in Kazakh, which turned out to be of no use, as folks here speak Russian. This is the first country where many of the people look Asian, probably a politically incorrect thing to say. 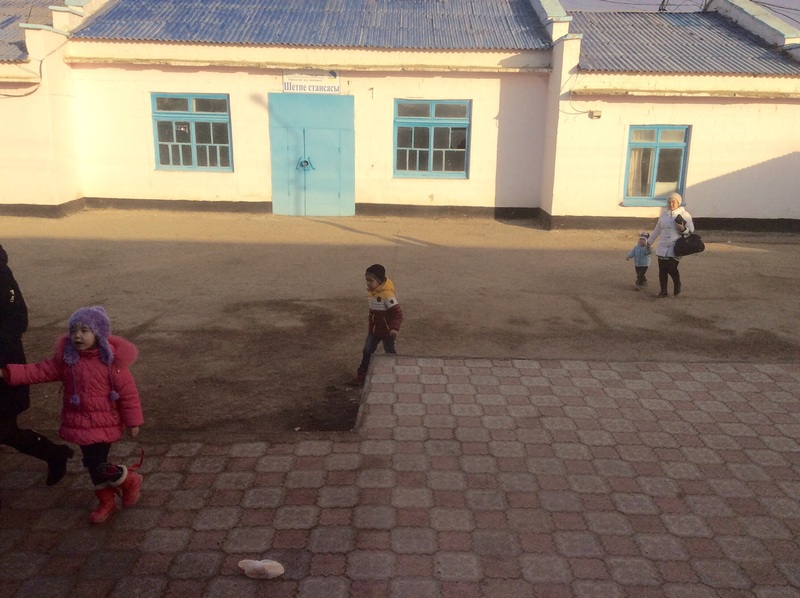 50% of the people here are Kazakh, and 30% are Russian. The president wants to change the name of the country to Kazakh Eli, as he doesn’t want to be associated with the other, poorer “stans”. He also wants to reintroduce Kazakh as a national language. He moved the capital from Almaty, near Uzbekistan, to Astana, in the middle of the country, a few years ago, and built lots of monuments to attract tourists. He sounds like a guy who gets things done (and he was elected with 95% of the vote)! 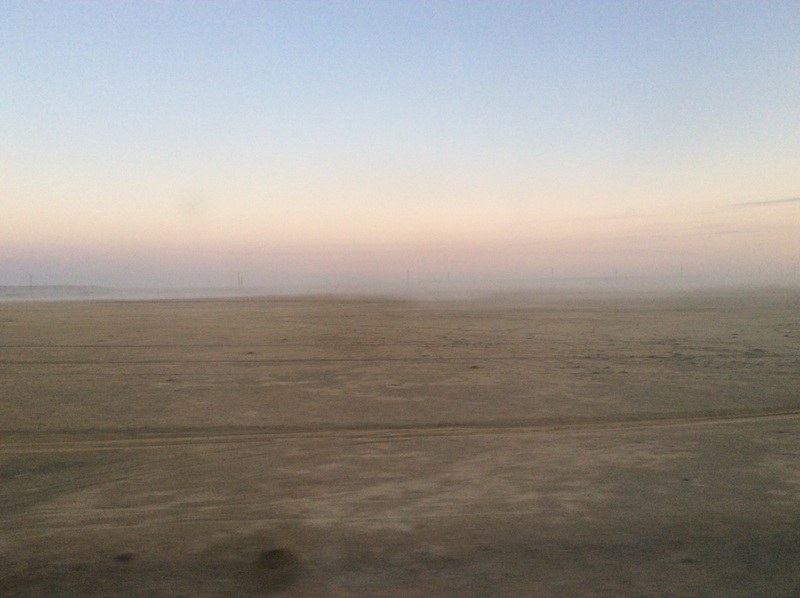 2/15 – got up early Sunday morning for the taxi ride to the train station, which is about 12 miles north of town. 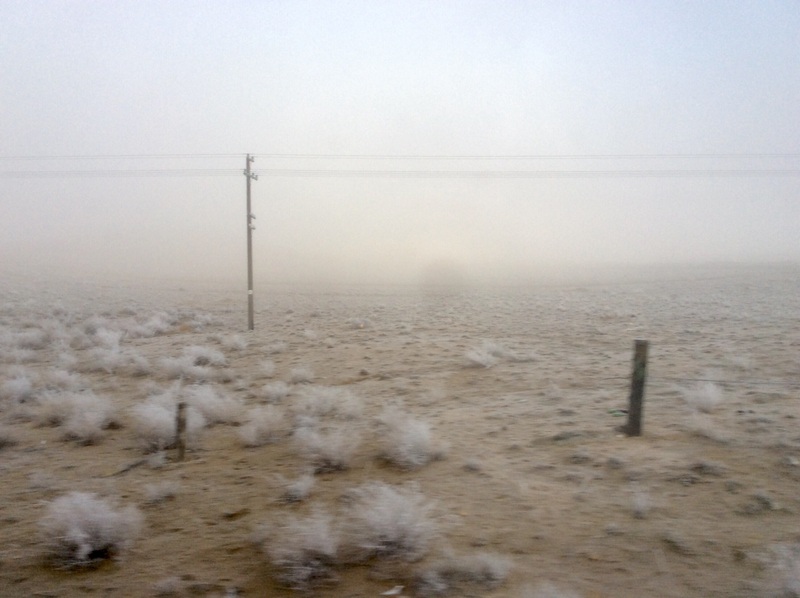 We have second class tickets for the sleeper to Astana, which will take two full days to arrive. Here is our sunrise. The train sleeps four to a cabin, but we are the only ones in our cabin so far. 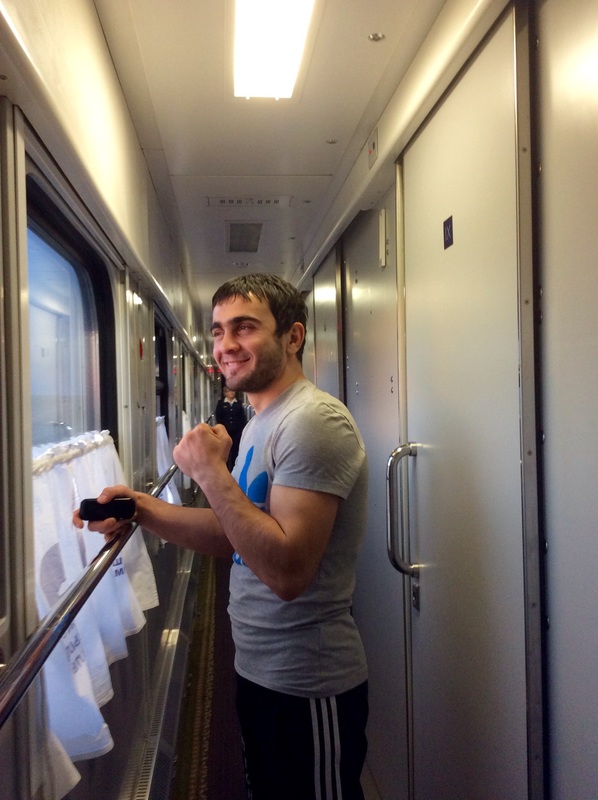 We meet Timon, a full-contact fighter from Azerbaijan, who is on his way to Astana with his team mates for a wrestling match. He showed us the scar on his nose, and helped us practice our Russian phrases. We stopped occasionally, and more folks got on. The scenery showed that it was getting colder as we rode northeast. 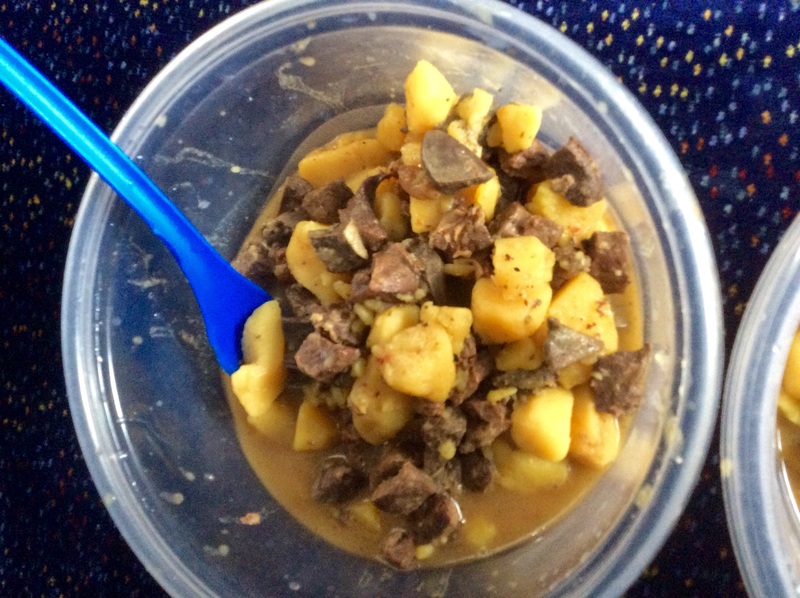 We saw women selling food on the siding right outside the train – we weren’t sure what food options would be available, so we brought our own fruit, water and canned tuna. And cookies. Maybe tomorrow we’ll hop off and see what the women are selling. The train attendant came by once selling socks, and again selling whole smoked fish. Pee Eww! At 7:30pm we were joined by two young men who had tickets to the top bunks. They had no English, and heaven knows we don’t have enough Russian for a conversation. I hope they don’t snore. I can’t help remembering back in Turkey, where they wouldn’t sell me an empty bunk because there was a man in the section. Now here I am with three men! 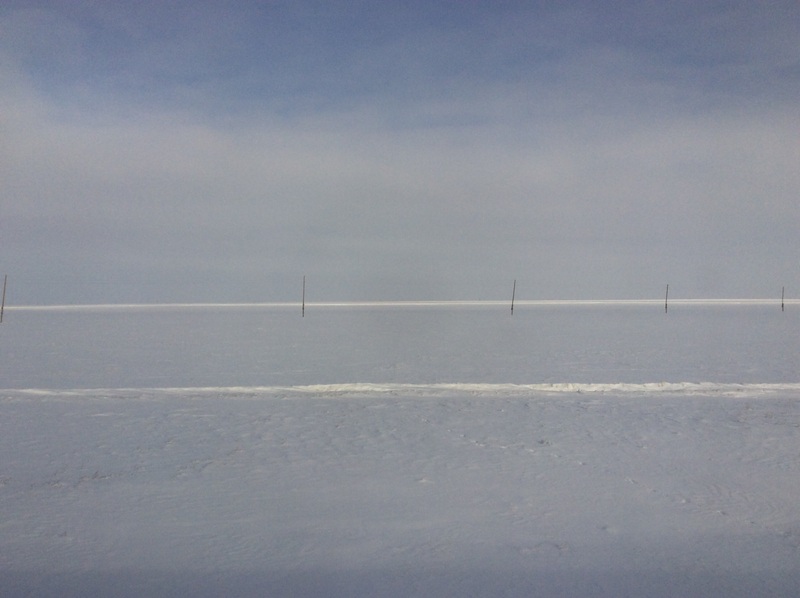 2/16 – the view out the window is just as flat, but now it’s white… I wonder how cold it is out there? It’s still 85 in here – slept all night without even a sheet, never mind the thick woolen blankets we were given. Turns out Jim was the only snorer, so I slept pretty well. More people coming down the aisle today, selling clothing and trinkets. The word has gotten out that we are Americans, and several have stopped in to acknowledge that fact. Americans? they say. Da, we say. That’s about it! At mid afternoon a Mongolian-looking man came into our cabin and introduced himself as Norman. He said it made his heart happy to see Americans here. He is from Uzbekistan, and worked for 10 years at a gold company. It’s the longest conversation we’ve had all week! By supper time our cabin-mates were packing up. They will be getting off at the next stop, so we’ll have our little cabin to ourselves tonight. 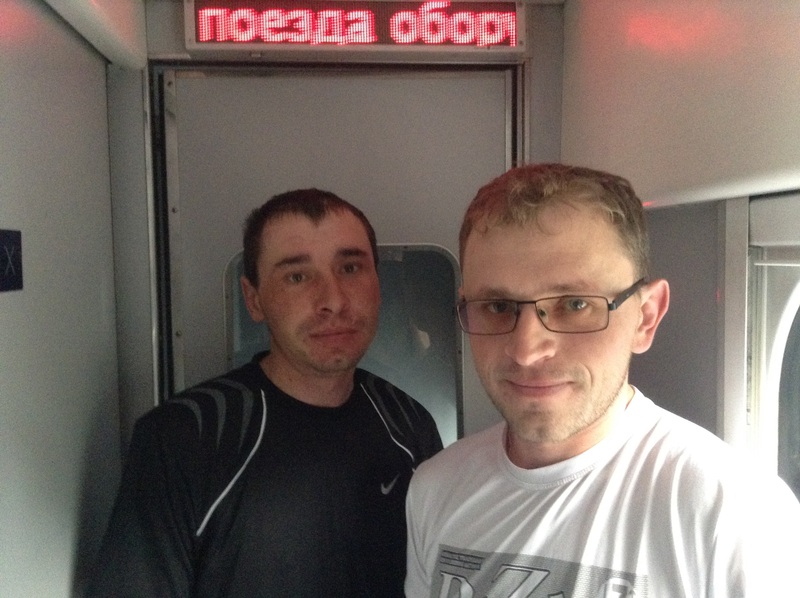 2/17 – the loudspeaker woke us at 5am – the train is due in to Astana at 6:10, and I guess its going to be on time! How funny – we said the same thing about the movie! Folks who fly over countries instead of going through them just don’t know what they’re missing. Thanks for traveling along! 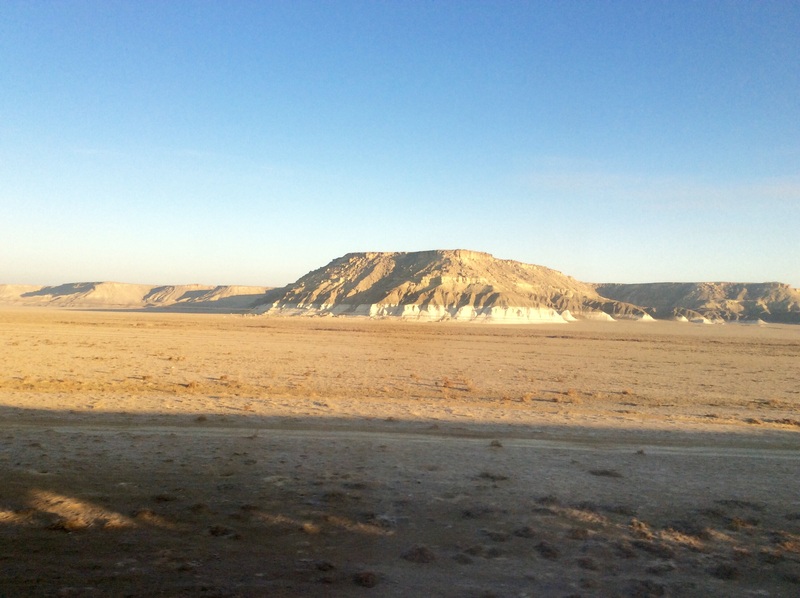 How much was ticket to Astana from Aktau?what is the cheapest ticket? Sorry, Alex. 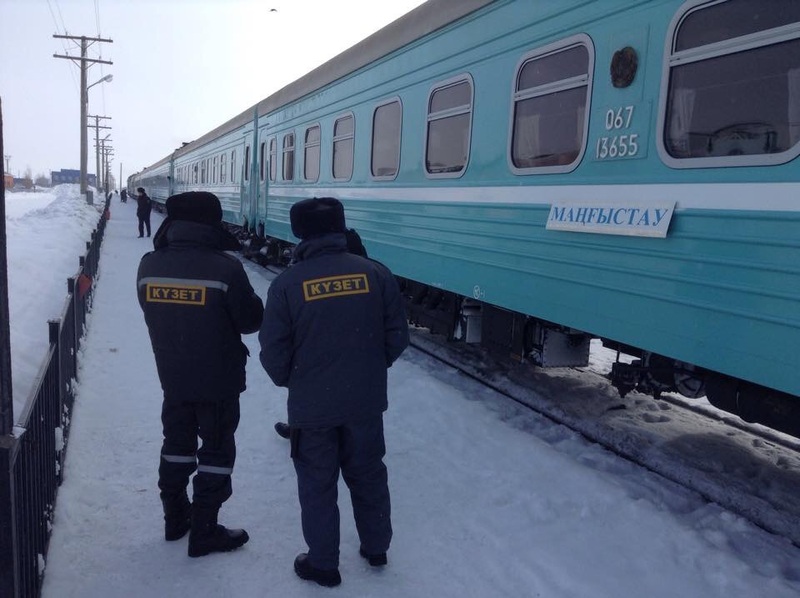 The post shows a picture of the train ticket, but I don’t read Russian and don’t remember the price. Enjoy!